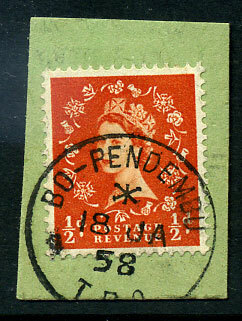 on GB QV 4d rose (SG.Z117, Cat.£160). 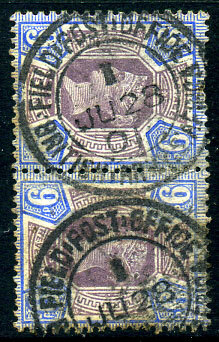 on GB QV 6d lilac (SG.Z4, Cat.£250). 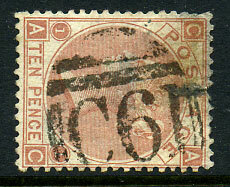 on GB 1867-75 QV 5/- rose Plate 2 (SG.Z88, Cat.£400). 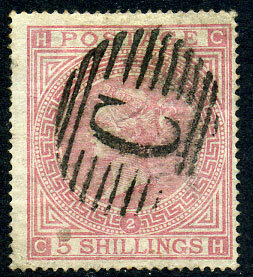 on GB 5/- rose Plate 1 (SG.Z88, Cat.£400). 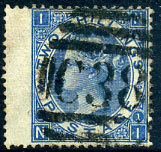 on 1867 GB QV 2/- blue (SG.Z55, Cat.£120), fine used. 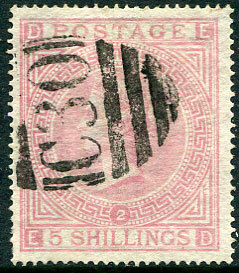 on 1867 GB QV 6d straw Plate 4 Spray of rose wmk (SG.Z101, Cat.£200). 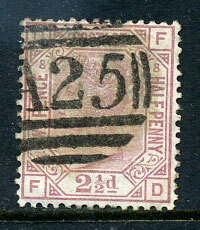 (SG.Z24, Cat.£170) on 1867 GB QV 10d red-brown, smaller thin at centre top, blunt perfs top left. 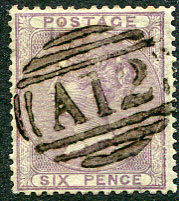 on GB QV 6d lilac (SG.Z3, Cat.£120), tiny sealed tear lower left corner. 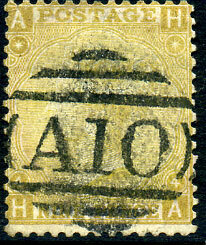 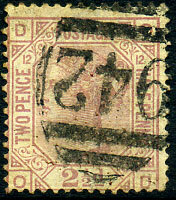 on GB QV 2½d Plate 12 (SG.Z18). 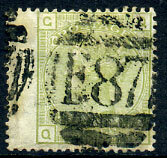 on GB QV 4d sage-green Plate 16 (SG.Z225). 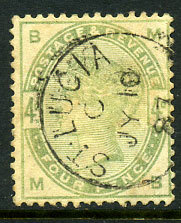 on 1877 GB QV 4d sage-green Plate 16 (SG.Z12, Cat.£550.00). 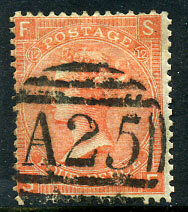 on 1876 GB QV 8d orange (SG.Z24, Cat.£6,000.00), light toning on two reverse perfs. 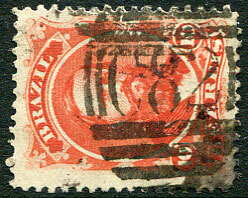 (SG.Z47) on 1857 GB QV 4d rose. 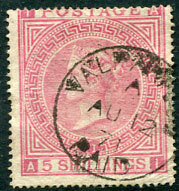 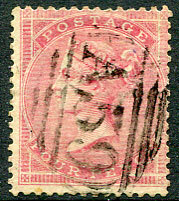 on GB QV 2½d rosy mauve Plate 8 Orb wmk (SG.Z38). 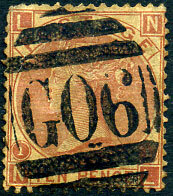 on GB QV 4d Plate 12 (SG.Z49).